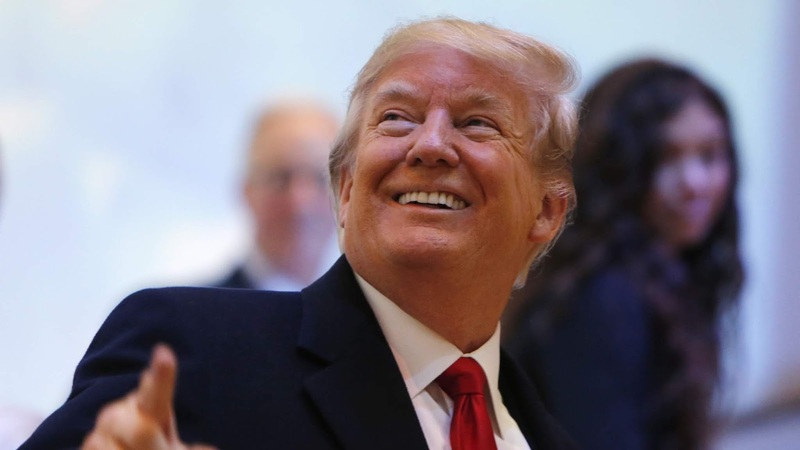 VietPress USA (March 24, 2019): President Trump and his supporters are so happy for the final report of Special Counsel Robert Mueller confirmed no evidence of collusion between President Donald Trump's campaign team and Russia, and did not present enough evidence to warrant charging Trump with obstruction of justice, according the declaration of U.S. Attorney General William Barr published today on Sunday. The long-awaited report into whether Trump's campaign colluded with Russia to help the Republican defeat his Democratic opponent, Hillary Clinton, now Mueller's nearly two years of investigation ended with a finding that no one in Trump's campaign "conspired or coordinated with the Russian government," according to a summary of Mueller's findings. Mueller himself did not reach a conclusion on whether Trump broke the law by interfering with the various probes into the 2016 election that have cast a pall over his presidency, but presented his evidence to Barr to make a determination. U.S. House of Representatives Speaker Nancy Pelosi and Senate Democratic leader Chuck Schumer said in a joint statement that the fact that Mueller had not cleared Trump on the obstruction issue "demonstrates how urgent it is that the full report and underlying documentation be made public without any further delay." U.S. Senate Intelligence Committee Chairman Richard Burr, a Republican, said Barr should release as much of Mueller's report as possible. WASHINGTON (Reuters) - Special Counsel Robert Mueller found no evidence of collusion between President Donald Trump's campaign team and Russia, and did not present enough evidence to warrant charging Trump with obstruction of justice, U.S. Attorney General William Barr said on Sunday. In a major political victory for Trump, who quickly hailed the announcement as "complete and total exoneration," Mueller's nearly two years of investigation ended with a finding that no one in Trump's campaign "conspired or coordinated with the Russian government," according to a summary of Mueller's findings. The long-awaited report into whether Trump's campaign colluded with Russia to help the Republican defeat his Democratic opponent, Hillary Clinton, marked a major milestone of his presidency as he prepares for his 2020 re-election battle. But Democratic opponents made clear that it would not end their political assault against him. Many of Trump's opponents had accused the president of obstructing the Russia probe when he fired former FBI Director James Comey in 2017. In a decision quickly attacked by Democrats, Barr, a Trump appointee who took office last month, and Deputy Attorney General Rod Rosenstein concluded that the evidence did not justify bringing obstruction charges, according to the Justice Department's four-page summary. Barr quoted Mueller as writing in his report on the issue of possible obstruction of justice: "While this report does not conclude that the president committed a crime, it also does not exonerate him." "It's a shame that our country had to go through this," Trump told reporters before boarding Air Force One to return to Washington from Florida. "This was an illegal takedown that failed. And hopefully, somebody's going to be looking at the other side." Barr's summary said Mueller found no evidence that the Trump campaign coordinated with Russia, despite “multiple offers from Russian-affiliated individuals” to help them. The closure of the special counsel's probe, while offering a potential political boost for Trump and a political weapon to wield against Democrats, does not mark the end of legal woes for Trump and people close to him. U.S. Rep. Jerrold Nadler, Democratic chairman of the House Judiciary Committee, said it "seems like the Department of Justice is putting matters squarely in Congress' court." The release of the summary is likely to ignite a new political fight in Washington as Democrats push for Barr to release the full report, and Trump seizes on the findings as vindication of his near daily assertion that he was a victim of a "witch hunt" that has cast a long shadow over his presidency. Although the Justice Department's summary rules out any conspiracy with Russia by the Trump campaign and associates, it leaves uncertainty over the question of obstruction of justice. Mueller declined to draw a conclusion on whether Trump's conduct constituted obstruction, flagging “'difficult issues' of law and fact concerning whether the President’s actions and intent could be viewed as obstruction,” according to Barr, who said that decision was left to him. U.S. Senate Republican leader Mitch McConnell noted Mueller's conclusion that there was no effort by Trump's campaign to conspire with Russia but said he was disturbed by ongoing Russian efforts to "interfere with our democracy" and looked forward to reviewing additional information from the special counsel's report.Trump has always denied collaborating with Moscow or obstructing justice and Russia says it did not interfere in the election. None of those charges, however, directly related to whether Trump's campaign worked with Moscow.